There's absolutely no reason to wander the streets dazed by exhaustion when you can rent a hotel room for up to 75 percent off simply to take a nap - or to use the gym, or conduct business or simply to freshen up. We recently had the pleasure of hearing more about Dayuse.comfrom Lorenzo Sciotti, U.S. Head of Sales. Sciotti explained a bit more on a concept many of you might not be aware exists. As we found, up to 70 percent of hotel rooms can go unused during the day. Dayuse was founded to fill that gap, offering a brief respite for those travelers who don't need an overnight stay, rather the relaxing confines of a private room for a short measure. Taking a gander at the website or mobile app, you begin to realize the possibilities. First, day rates are extremely inexpensive, which makes sense as you are only using the room for a few hours. Second, they are far more valuable to your time than you might consider. As Sciotti states, there are myriad travelers who use the service, from business travelers looking for a room to nap to cruise passengers waiting for their ship to come in. And if you fancy a quick spot of privacy, you don't need a credit card to reserve a room. It's a dream scenario for that backpacker who just wants a shower or possibly wants a quick workout in the gym. We were pretty curious to hear more about Dayuse, so we asked Sciotti to fill us in on the innovation. But first, Lewis the Butler explains the website. 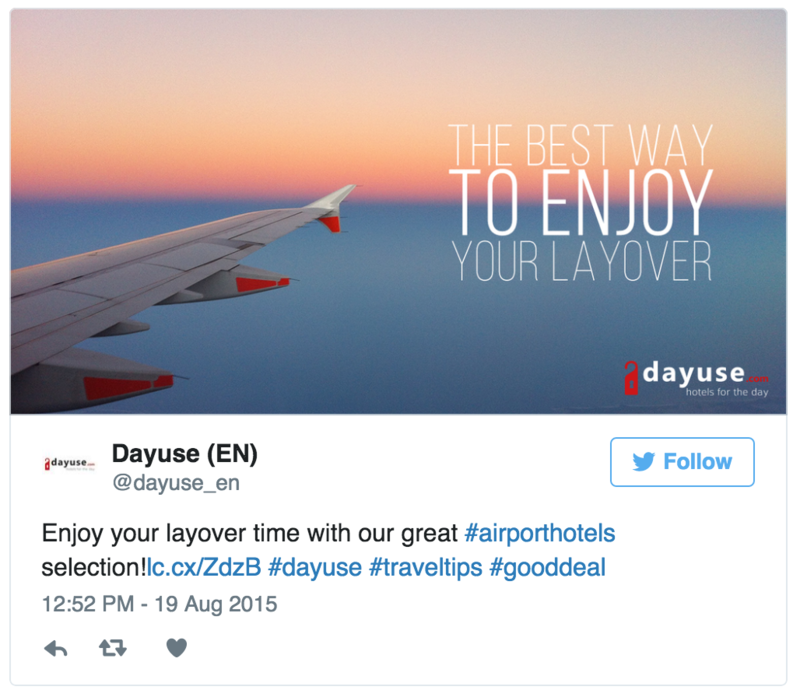 TravelPulse: What has been the reaction from travelers since Dayuse's inception? Lorenzo Sciotti: Dayuse.com responds to an existing demand, so the reception is enthusiastic. Until now, travelers did not have many options for optimizing the sometimes very long layover between flights or between business meetings. Today, they can book a hotel in just a few clicks, allowing them to use the time to rest, freshen up or work in beautiful, well-equipped and quiet spaces. TP: Have you seen a rise in use of the innovation? LS: Since launching, we have experienced a triple digit growth year over year. This can be attributed to the rising popularity of daycations for leisure travelers and the growing need among business travelers to have a daytime home base where they can recharge and/or stay connected and increase on-the-road productivity. TP: Are more cities easier to book for use during the day than others? LS: The reservation process is quick and easy in every city where the service is offered. You can make your reservation via the website or the app, with customer service reps always on-hand to assist. TP: Explain a little on how this works. A traveler really needs no credit card to reserve a room? How long are usual stays during these off hours? LS: You choose your hotel from a wide variety of available options at Dayuse.com, with more than 2,000 hotels in 15 countries. You first select the date, time of arrival and length of time desired for your stay. You can also enter other criteria such as the number of stars or type of facilities available. A selection of hotels is proposed to meet your needs. To finalize the reservation, you just have to provide a name, a phone number and an email address, to receive the reservation confirmation. You pay in full only after you arrive at the hotel. Slots vary by hotel and generally range from three to seven hours during the day. TP: What happens in the rare case that a person enjoying a day sojourn wants to flip the room into an actual overnight trip? Is there any way through Dayuse to do that? LS: On our platform, we offer daytime reservations as well as nightly bookings. The reservation process is the same; however a credit card will be required as a guarantee only for overnight stays. TP: What was the impetus behind the website? 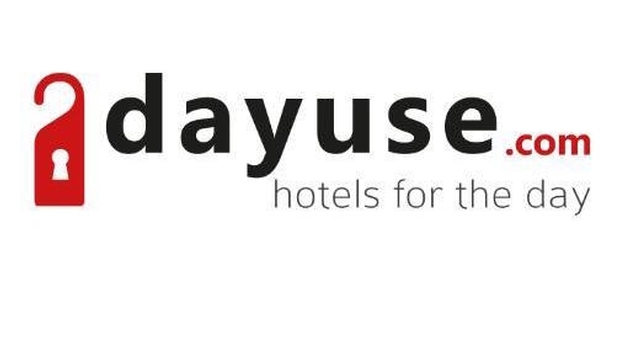 LS: Dayuse.com was founded in 2010 by a team of hoteliers. The CEO and founder, David Lebée, noticed an unmet demand for daytime hotel bookings among business travelers and day trippers while he was working in the hospitality industry at companies including Costes, Accor, and Starwood. During this time, he was frequently confronted with a clientele in need of a room for the daytime only and nothing to meet the offer. This, combined with the knowledge that 70 percent of hotel rooms are empty during the day, helped spark the idea for Dayuse.com. The company was founded with the goal of generating a new revenue stream for hotels. TP: What have been the typical people who have made use of the site? Business, young travelers? LS: Daytime hotel bookings are particularly popular among business travelers who are in need of a place to unwind between meetings, an office for a day to handle work emergencies, a private space for meetings or even a place to work out. On the leisure side, day trippers are taking advantage of Dayuse.com, booking hotel rooms for a place to nap and shower, as well as to store luggage or shopping bags. Others book to take advantage of on-property amenities like the fitness center, spa, or pool. One leisure segment we're seeing growth in is among cruise passengers who may arrive in their departure city hours before they can board the ship and need somewhere to stow their belongings or relax. One of our hotel partners recently received 30 Dayuse bookings from a cruise group and we anticipate this being a continuing trend. We are also seeing that those in cinema or the arts are booking rooms to conduct interviews or hold photo shoots. TP: Any tips for anyone thinking of using Dayuse or a similar model? LS: Our best advice is to download the app. It makes finding a nice hotel room fit to your needs easy and efficient. Booking on the go couldn't be simpler. TP: Lastly, is there anything you think our readers would love to know about Dayuse.com? LS: We believe daycations are the next big trend in the tourism industry, as we have already noticed this movement among European urbanites. Dayuse.com allows you to take in the sights and sounds of new locations and experience a mini getaway. Guests can relax in real style, without having to use vacation days. Daycations through Dayuse.com provide an easy way of taking time out to indulge.